Last week we wrote about Intel’s i9 processor and told you that how powerful it is for your PC, especially for gamers who need a powerful processor. There has been a tough competition between Intel and its rival AMD when AMD launched its powerful Ryzen lineup of processors last year that was one of the best and powerful processors from AMD. 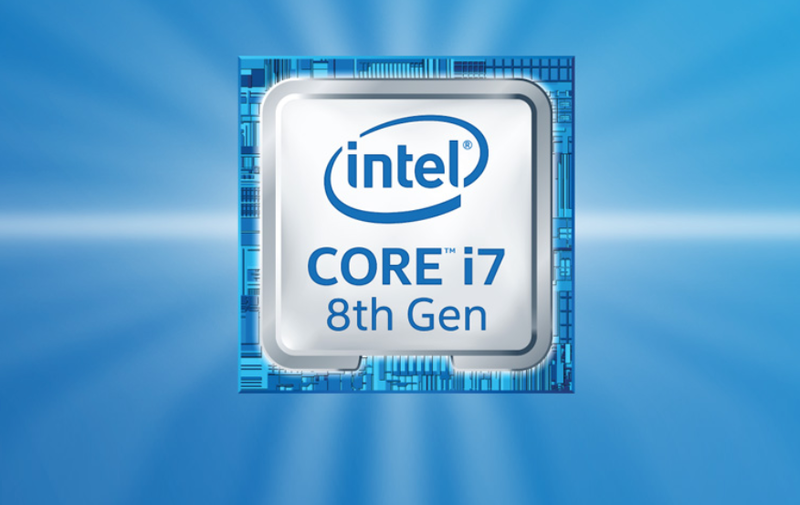 Earlier this week, Intel announced its new eighth-generation Core processors line-up the Intel Coffee Lake processors. And that’s something we are pretty much sure will beat all the other existing and similarly-priced processors available in the market today. But what these processors really have to offer and how powerful it is from its predecessors, to know this here we are going to have a quick comparison between Intel 8th Gen Coffee Lake vs 7th Gen Kaby Lake processors. Coffee Lake is the code name of Intel’s eighth-generation processor’s line-up. The new chip comes with much-refined manufacturing process (14nm++) more cores than ever before and slightly higher in performance than its immediate predecessors Kaby Lake (14nm+) and Skylake (14nm). Gamers are expected to find a significant boost in performance with Coffee Lake chip but we are not pretty much sure that how much increased in performance user will get. According to Intel users will get up to 25% more FPS and 45% better performance when “mega-tasking” compared to the Core i7-7700K. Intel has announced 6 different CPUs which include three ‘K’ series processors which can be overclocked with unlocked multipliers and three non-overclockable chips with locked multipliers. Now let’s start with top-of-the-line i7-8700K ‘K’ series processor, it comes with 6 physical cores and 12 threads along with 12MB of L3 cache and a boost clock up to 4.7GHz. The second mid-range CPU is the i5-8600K which also features 6 physical cores clocked at 3.6GHz out-of-the-box, but it doesn’t include hyperthreading. It comes with 9MB of L3 cache and has a boost clock of up to 4.3 GHz. The third which comes under ‘K’ series is the i3-8350K that features 4 cores clocked at 4 GHz and has a 6MB L3 cache. With locked multipliers, this chip features slightly lower clock speeds and cost a title less compared to the higher-end variants. Now let’s talk about other three CPUs. First, comes the i7-8700, it comes with 6 physical cores and 12 threads along with 12MB of L3 cache and a boost clock up to 4.6GHz with a little difference in Freq. (Base), (Boost) and Watts with i7-8700K ‘K’ series processor. The second in line is the i5-8400, it comes with 6 physical cores and 6 threads along with 9MB of L3 cache and a boost clock up to 4.0GHz and again with a little difference in Freq. (Base), (Boost) and Watts with i5-8600K ‘K’ series processor. The third in the list is the i3-8100, it comes with 4 physical cores and 6 threads along with 6MB of L3 cache and a base clock of 3.6GHz and again with a little difference in Freq. (Base), (Boost) and Watts with i3-8350K ‘K’ series processor. With the bump in the core-count, clock speeds and other enhancements the new lineup of the eighth-generation processors also cost higher across the board than its predecessors. The i7-8700K costs $359, $54 more than the launch price of the i7-7700K, while the i5-8600K costs $257, $40 more of the i5-7600K. As for the i3-8350K, it costs $168, $19 more than the price of its predecessor Core i3-7350K, you might find it price a little bit high but I think Intel i3-8350K processor clocked at a whopping 4GHz is still not a bad choice at all at that price. The Coffee Lake processors will be launched officially on October 5th and are expected to be available at both local stores as well as online stores. Well, definitely you can expect a blazing fast speed while gaming and multitasking on your PC as the new generation Intel processors come with improved Core-Count, Clock Speeds, and Hyper-Threading technology which double the number of cores than it really does and provides some extra power to the performance. As for pricing are concerned, I think it justifies for what it has to offer. What you think, is it worth buying Intel’s new eighth-generation Coffee Lake processor? Let me know in the comments down below.